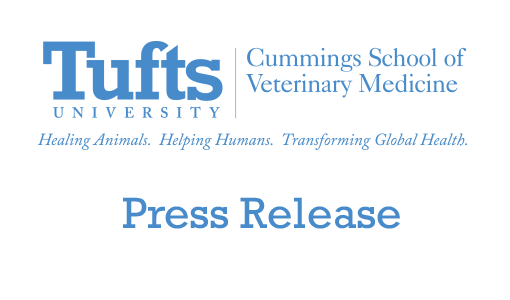 The clinic taps the strength of the Cummings School’s nutrition service, a 15-year-old clinical, teaching and research service located at its Grafton, Mass., Foster Hospital for Small Animals and featuring three board-certified clinical nutritionists. Such experts are a rarity, since fewer than 100 veterinarians have been boarded by the American College of Veterinary Nutrition. Studies have suggested that up to 60 percent of dogs and cats are obese or overweight. A recent survey of client-owned animals at the Foster Hospital, one of the nation’s busiest teaching hospitals for pets, put the number even higher – nearly 70 percent. Overseeing the clinic will be Deborah E. Linder, DVM, DACVN, a graduate of the Cummings School’s Doctor of Veterinary Medicine program and its two-year residency in clinical nutrition. Studies done both at the Cummings School and elsewhere suggest that obesity can be a complicated topic for pet owners. Although dogs and cats are not prone to coronary artery disease – a leading killer of humans and a common side-effect of human obesity – being overweight can lead to complications such as diabetes, orthopedic problems and respiratory complications, as well as reduced quality of life and life expectancy. Weight loss can be as tricky for pets as it is for people. A 2010 study done by Dr. Linder and Lisa M. Freeman, DVM, PhD, found a wide variety in calorie density and feeding instructions for foods marketed for canine and feline weight loss. Freeman’s research on dogs and cats with medical conditions such as kidney or heart disease has shown that optimal body condition plays an important role in survival. This and other studies emphasize the importance of a carefully designed weight loss program, especially for pets with medical conditions. Tufts’ clinic caters to these complex cases that require the attention and intensive intervention required for weight loss. The clinic may offer hidden benefits, as well. A 2006 study conducted at Northwestern Memorial Hospital’s Wellness Institute suggested that overweight pets can encourage overweight people to exercise with them – and lose weight simultaneously. 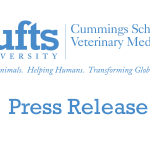 Dr. Linder’s faculty appointment is funded by a grant from Royal Canin USA.